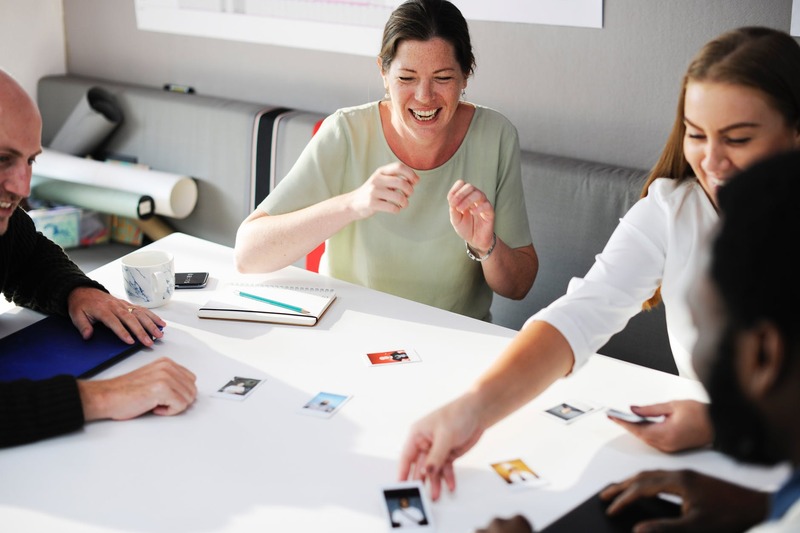 Strengths meetings – team meeting organised for employees to recognise and acknowledge each other’s natural talents, skills and personal strengths within the company – are rarely the same. Each meeting has a unique flow, depending on the team and company culture. Therefore there is no ‘right’ or ‘wrong’ way of hosting it. As there is no copy-paste template for such meetings, results of them can vary as well. Some managers think that using any strength finder tool to find team talents will do the trick. Below we provide 5 recommendations on how to go beyond that and to get the best of the first team meeting on personal strengths, which is considered among the most powerful team building activities. The topic of personal strengths is exciting for most people – who doesn’t like to speak great about themselves? Hence to keep the meeting on track you should have a general understanding of where you want the meeting to head and what you want to achieve by the end. In case you lack previous experience with team meeting on personal strengths, embrace the learning curve together with the participants. Are you more experienced hosting these type of meetings? Be cautious with the tone you choose to address your team. Do not aim to convince your audience in the power of strengths-based lifestyle, instead share your positive experience with using personal strengths at work and how it supported other people. These examples will act as an inspiration of benefits that one can unlock with strengths-based lifestyle. Considering the positive effect of being aware of each other’s personal strengths, your main role as the host is to to make sure everyone has a chance to talk about their talents. It’s the space for your team members to talk – hence, you should primarily listen and highlight the strongest points highlighted for every team member. If you notice someone struggling with this exercise, bring up a story which demonstrated an impressive skill of that person. It is not uncommon that some people have difficulty highlighting their own talents in front of colleagues, especially in the beginning. Once everyone on the team had a chance to discover and claim their personal strengths, it’s time to discuss opportunities to grow them further. Remind your team members that, despite the popular belief, the biggest area of personal growth lies in their strengths, not in their weaknesses. Encourage the team to brainstorm together the ways that they can help each other to use personal strengths more on daily basis. Turn these ideas into an action list and circle it around after the meeting for a stronger positive effect. It could not be stressed enough – one issue you should avoid during the whole team meeting: try to avoid the discussion getting derailed and lose focus. It can take mere seconds before participants will bring up issues that are completely unrelated to what the team is skilled at. Once it happens, don’t worry – bring back the conversation to personal strengths again. Considering that this is the first time the team sits down to discuss personal strengths, it might be too early to aim for resolving all issues at once. Closed with expressing your gratitude to the whole team and encouraging the team to do the same. Think of it this way, when a team member comes to ask for your help in the area of your strengths – think of it as a gift, because they are giving you a chance to be at your best! Besides, it is not an easy task to talk about your personal strengths in front of team members, if that hasn’t been a part of your team culture yet. After the first team meeting, try to refer back to it in friendly conversations as well. Be attentive when an employee applies their personal strength and acknowledge it. If employees notice that they are appreciated for leveraging personal strengths, it will strengthen their confidence in themselves and in results they can deliver. A note of caution – do not forget that some employees feel uncomfortable if you excessively praise them publicly. Handle this situation with discretion and provide feedback on one-to-one basis when it’s more suitable. Where to start your strengths meeting preparation? Use any strength finder tool or strengths test to identify natural talents concentrated in your team. You can take the HIGH5 Team Strengths Assessment and, keeping the above mentioned points in mind, you have a productive meeting with your employees about what they are naturally good at. Just make sure it’s not the only time you speak with your team about their talents. Strengths-based culture should be treated as a long-term investment. Strengths meetings need to remain part of the organization’s schedule. Then the whole organization will be able to reap fruits of the augmented effectiveness.